Beautiful morning to ya all... yes I know it's not morning in all your neighborhoods. However it is morning here on the high Wyoming Plains. There is still a slight haze but not much. Amazingly the smokey haze from the California fires reached even to here... over the Rocky Mountains! My thoughts and prayers go out for those folks living in the fire ravaged regions. We had a few days of strong wind that dispersed the haze. Yesterday and today are just light breezes and bright sunshine. Makes for a wonderful crisp morning. Hopefully it stays pretty calm throughout the day. I (and for a while my husband ...before he gets called to the railroad) am strawing the dog runs today. Since the rescue group came in there are over 50 runs to be strawed. Strawed means, putting bales of straw in the pens and houses for winter bedding. There is more to winterizing the kennel than strawing the pens but that is a blog post for The Arfing News... to be written later. There are fresh photos on their way over the next day or two to the Robbins Run Ranch Blog as well as my main site Robbins Run Ranch: Living the Dream with our Pomeranians. I am in the process of adding a business portfolio page to my main site as well... There are some very exciting things coming up. Winterizing the kennel has to come first. It's a race with the weather. It's also a phenomenal workout. whoo hoo... I do believe I'll be ready to walk that half marathon this spring. Seriously it would be great to have some walking partners for that event. It's in between Cheyenne and Laramie Wyoming. Up in the mountains. Beautiful country, stay on the trail though, no point in putting yourself at risk as cougar food. Yes I'm doing it anyway, we have cougar in our neighborhood as well. Through my busy life a big part of what keeps me going are my vitamins and minerals. New Vision International has a wonderful product called Forte. Take advantage of Forte & Mangosteen Diets feel great and to build your New Vision Business! 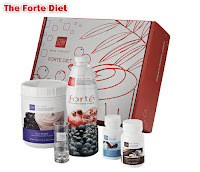 I am using the Forte Diet successfuly in my weight loss and fitness training. Here is a wonderful goodie to utilize with your businesses: Claim your f-ree upgrade! Why is Paul giving this away? be masses more giveaways all through November. to JV on Paul's next project. Need any more reasons to join? # More than 11,500 members waiting to view your site. # F-ree members can earn 250 guaranteed hits per hour. # Pro members can earn up to 750 hits an hour. # Active members are rewarded with fr.ee banner ads. # Active members also rewarded with fr.ee text ads. # Active members win fr'ee hits every single day. # Traffic-Splash currently ranked at 5 in Traffic Hoopla. # Traffic-Splash currently ranked at 3 in Hit Exchange News. # Traffic-Splash currently ranked at 3 in TrafficExchangeList. ==> Click Here for Your Surprise Free Bonus! PPS Traffic-Splash is also offering a half-price upgrade right now. 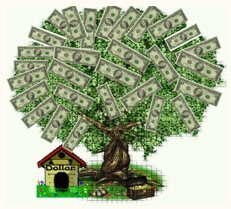 500 hits and a river of random referrals for just 16 cents a day. ==> Click Here for your Half Price Upgrade!